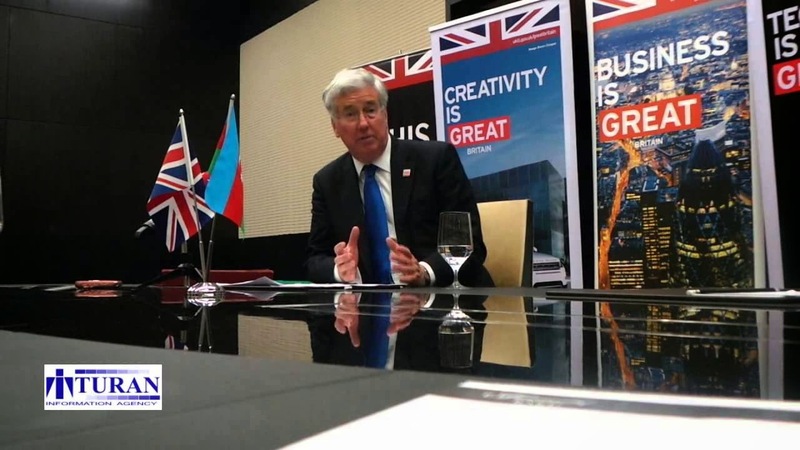 The implementation of Trans-Caspian gas pipeline will increase stability in the region, UK Energy Minister Michael Fallon told journalists in Baku. Commenting on the opinion that Russia's position on the said project is fairly rigid, Fallon noted that the Russia was sanctioned for actions against Ukraine. "We will continue to use them in order to make it clear: any escalation of tensions in the southeast of the country will lead to new sanctions. We work on these issues with partners in Europe. The existing tension makes more relevant the issue of reducing Europe's dependence on Russian gas," Fallon said. 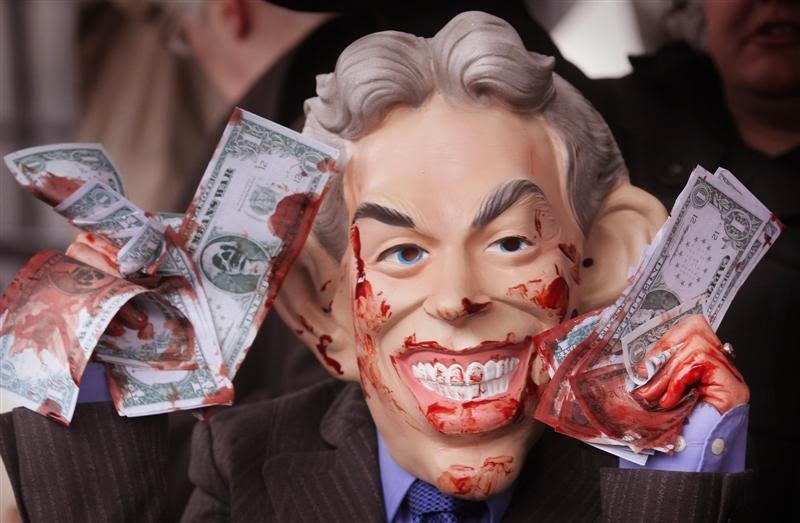 Tony Blair, the former British prime minister, has been hired to advise a BP-led consortium on the export of natural gas from Azerbaijan to Europe, in a sign of the efforts now being made by western companies to reduce reliance on Russian supplies. Mr Blair will join former German foreign minister Hans-Dietrich Genscher and the chairman of Goldman Sachs International, Peter Sutherland – a former chairman of BP – on an advisory panel being set up by BP and its partners, a person close to the Azeri project said. BP said the Southern Corridor Advisory Panel will “advise on political, environmental, reputational and societal challenges that may be faced by the Shah Deniz 2, TANAP and TAP projects during their early years”. Deputy Head of the Azerbaijani Presidential Administration, Head of the Foreign Relations Department, Novruz Mammadov commented on the opinions expressed by Swedish Foreign Minister Carl Bildt regarding Azerbaijan at the Atlantic Council meeting in Washington, APA reports. “Unfortunately, there are many such politicians in the international community. They think that everybody should accept and obey what they say. However they don’t understand yet that their irresponsible and narrow-minded thoughts have led the world to such a situation. Today, the ongoing negative processes, conflicts, political instability and tensions in different countries are the result of their thoughts and activities. They are unable to understand the essence of processes in the world. They just memorize some expressions and words, like parrots, and think that they fulfill their duties by using them as a means of pressure”, he said. Swedish Foreign Minister Carl Bildt said at the Atlantic Council’s meeting in Washington that he has serious doubts about the sincerity of Azerbaijan’s participation in the Eastern Partnership program as an authoritarian regime is dominating in the country. On June 20th, Azerbaijan Ministry of Foreign Affairs sent a diplomatic note to the Peace Corps, kindly informing them of the government’s intention to cancel the Memorandum of Understanding (MEU) between a US-run volunteer program and the Ministry of Economic Development, TURAN’s Washington DC correspondent was informed by sources that closely follow the issue. 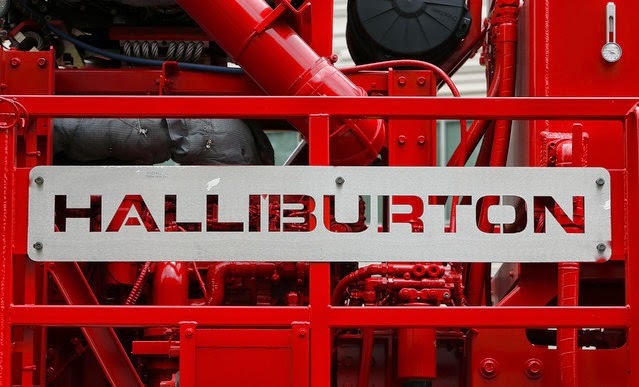 A newly formed oil service joint venture between a private Chinese firm and U.S. oil service giant Halliburton Co plans to focus on tapping tight oil and gas reserves in China's remote western region of Xinjiang. China is stepping up development of more difficult-to-extract resources including tight oil and shale gas, leading more local firms to seek alliances with global oilfield service companies with high-end drilling technology and experience. The latest venture between Halliburton and China's SPT Energy, known as Xinjiang HTDT, joins similar tie-ups between U.S.-listed Weatherford and China's Sinopec Group and U.S. fracking giant FTS International with Sinopec. Six ethnic majority Han Chinese farmers have been stabbed to death in the latest outbreak of violence in China's western Xinjiang region, police and local officials said. Police shot dead an ethnic minority Uyghur man and captured three other Uyghur suspects following the incident last Wednesday in Uchturpan (in Chinese, Wushi) county in Aksu prefecture in mid-western Xinjiang, the officials said. A copy of a warrant of arrest was published online naming six suspects in the stabbing incident, which occurred in Uchturpan's No. 7 village in Imamlirim township on July 9. Their names all sounded Uyghur. China's Foreign Ministry said on Friday that it had appointed a special envoy for Afghanistan, underscoring Beijing's concerns that the withdrawal of NATO troops will leave a hotbed of militancy on its doorstep. Sun Yuxi, a former ambassador to both Afghanistan and India, has been named to the new position and will have "close communication" with Afghanistan and other relevant parties, the ministry said in a statement. One of China's chief worries is that Uighur militants who want a separate state in western China's Xinjiang region will step up their fight by exploiting the security vacuum left after the bulk of NATO forces withdraw by the end of the year. "The airliner transported 91 Takfiri Tajiks from Dushanbe to Istanbul at 21:10 on July 2 onboard flight 254," a source, who asked to remain unnamed for fear of his life, told FNA, and added, "The militants were later transferred to Iraq to join their ISIL co-fighters." According to the source, the Saudi embassy in Dushanbe acts as the headquarter for recruiting, organizing and leading the terrorists in Tajikistan to send them to Syria and Iraq. "Abu Tariq, the first secretary of the Saudi embassy, is in charge of payments and costs of the militants' transportation fees," he added. The source also mentioned that "Turkish Air has transferred about 1,000 Takfiri Tajik fighters to Iraq so far". A citizen of Iraq, 47, was detained by officers of the Tajikistan's Interior Ministry while trying to illegally cross the Tajik-Afghan border, the press service of the Ministry reported. The man was detained in the framework of search operations conducted on July 13 in Farkhor district near the border with Afghanistan. Eighty-seven Sughd Oblast residents, including 24 women and 34 children, are wanted on suspicion of going abroad to join various extremist and terrorist groups, media reported July 17, quoting oblast police chief Sharif Nazarov at a July 16 news conference. The extremist movements include Jamaat Ansarullah, Jundullah and the Islamic Movement of Uzbekistan (IMU), Avesta.tj reported. Destinations of the 87 fugitives include Syria, Nazarov said.